For an updated version of this lens that features a fully silent design, a new iris for smoother automatic exposure changes, and full compatibility with the Dual Image Stabilization 2.0 system, please see the Panasonic Lumix G X Vario 12-35mm f/2.8 II Lens. 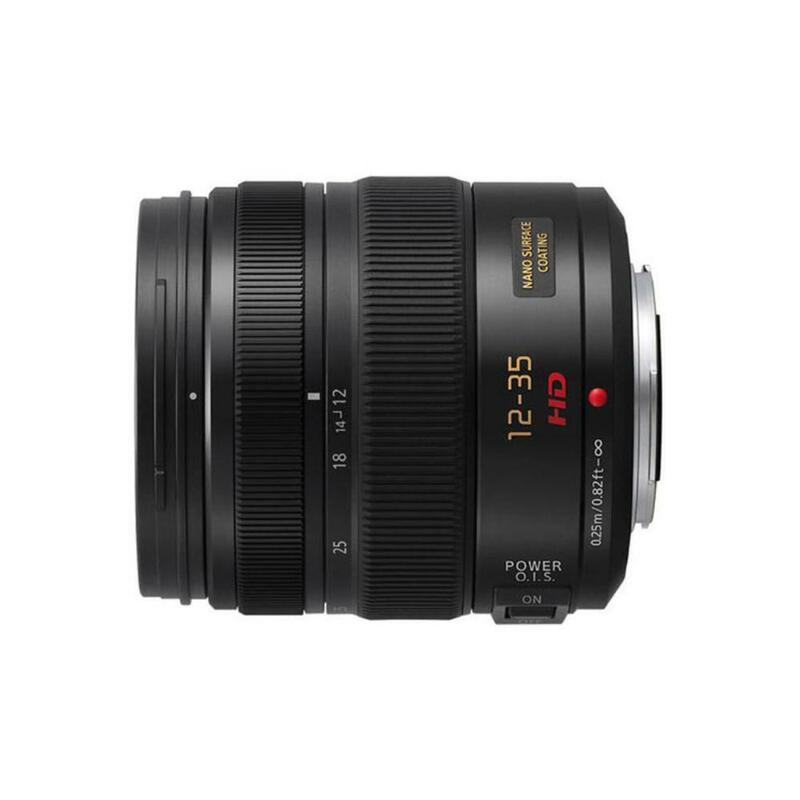 The Panasonic Lumix G X Vario 12-35mm f/2.8 Lens is a standard zoom that retains a compact form factor suitable for portable Micro Four Thirds setups. It features a POWER O.I.S. system that is compatible with Lumix G cameras' Dual I.S. functionality for extra shake compensation. The X series of Panasonic lenses are inspired by a collaboration with Leica and sports the sophisticated optics you'd expect from Leica branding. It has a sturdy build and is splash proof, making it suitable for shooting in rainy weather. This lens is ideal for documentary shooters, event photography and videography, and travel. • There is no aperture ring on this lens. The aperture is controlled by the camera. Your camera must be equipped with an "active" Micro Four Thirds mount to control the aperture. Most recent Micro Four Thirds mount cameras are active. A notable exception is the Blackmagic Cinema Camera for Micro 4/3 Mount, which has a passive MTF mount.